Sometimes when I get music from artists, it waits for a rainy day moment-good enough to post, but missing something which makes it a mustpostrightnow jamandahalf. 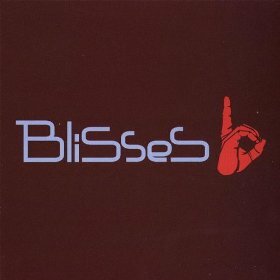 Blisses B was different. On my first listen through I knew it was something special, and the album and the band really highlight the whole concept behind this blog-showcasing music that is unique enough to transcend our individual favorite genres and styles. I asked Noah Libby, the lead singer of Blisses B if I could interview him, and luckily he agreed. Put on some of their great tunes below while you read more about the group that has quickly become a new favorite of mine. Thanks Noah for your time. Can you take us through how a Blisses B song is made? How do you consolidate so many instruments and influences? I will bring a song to the guys which I wrote acoustically (Guitar, Mandolin or Banjo). We then flesh it out at our practice studio and we talk about it very openly. This is a very democratic band and we all take criticism and praise from each other with a grain of salt. Matt McBride (Drums) and Nick Testa (Bass), for the most part, have their instrument chosen outside of it being a strictly acoustic song. Ben Keegan has a unique avenue in that he plays lots of different instruments (Answer: D, All Of The Above). With all these instruments involved it makes it a grandiose time when we work the song out to fruition. To touch on the consolidation of instruments and influences, I will say that there is no guideline or path. I am definitely a musical sponge and the folk and jazz music that my parents listened to, have had a profound effect on me and that has traversed into my own writing. Let it also be known that Nick and Ben are accomplished songwriters and singers, this will be shown in Blisses B music going forward - count on it. As the vocalist, what is your process for creating the lyrics to the song? Do you wait for an instrumental, or do you come up with an idea then try and create an instrumental around that? A central idea or theme is something I strive for in each song, and now more than ever I try and write from a different persons view. I write the instrumental part of the song first nearly every time. I have ideas for lyrical content but they usually are in the waiting room until the song structure has been written. If you had to describe the new album in one word, what would it be? What song are you happiest with? Which song was the hardest to make from start to beginning? The title track Thirty Days, Sixty Years. Matt used a very unorthodox drum beat; also Nick, Ben and I all sang on the track. Recording is very different from playing live, so nothing came easy. I Was Around would probably be the right choice for hardest track. Ben's piano part was very arduous and I had my own struggles with the acoustic and electric parts. On the biography it says that everything dealing with the album was done by the group. How important is it to the band that everything was created organically in-group? Nick has his education in Sound Engineering and this played a key role in the production of this album. To have a band member, with vested interest, recording the record was in and of itself a huge part of this albums success. We knew how we wanted this album to sound and Nick was really able to take us through all the steps (Recording, Mixing and Mastering) in such a comfortable and unique way. This isn't our first time recording in studios and recording to tape etc, but it is the preferred way in my opinion. We also had Ben's brother Graham Keegan do the artwork for the record and he did an awesome job, I can't wait to see it in LP-Vinyl sizing. What music has the group been listening to recently? Where does Blisses B go from here? 2011 will have us playing in Seattle, Portland, Detroit, New York, Boston and more. The Music Festival circuit is something we would love to be involved in any capacity this year. Also, we are writing new material now and we hope to be recording that in the not so distant future. Thirty Days, Sixty Years seems to have be receiving almost universal accolades from across the blogosphere. What about your music do you think is so universally appealing? First and foremost, I appreciate people like yourself spreading the Blisses B name. I don't know if I can answer this without bravado being involved so here goes: I think we strive to have introspective lyrics with both unique and often danceable music. I hope this finds itself in the wheelhouse of music lovers. I am ever thankful for the support we get here in the San Francisco Bay Area and across the globe. What is your personal motivation for making music? I really appreciate the craft of writing songs, and the relationships they have with myself as well as others. I only started playing guitar when I was 18 years old...which I would say is not the vast majority of musicians. So for better or worse, this has given me a unique learning curve. Nick and Ben can tell you that on a regular basis, I don't really know what key we are in for the songs I write. I wouldn't have it any other way though. Because what could be seen as a setback in years of practice and the honing of skills lost, is really just an eddy I swam up river with...only to find a private beach of instruments and an anything goes attitude in regard to learning them.